This is quite a new journey for us as full-time homeschoolers. Although I have been working from home since 2005 and juggling that with life as a mom at the same time and we have always done some kind of homeschooling as we are raising a bilingual and bicultural child too. Today’s video I talk about our journey up to now and the decisions we made along the way. Why we didn’t choose homeschooling for elementary but did for junior high. I also go into how we run our days so that everything goes to plan and we still get everything done. As many of you know, I am a Montessorian and “Follow The Child” has been our family motto from the start, although we are not following the Montessori curriculum now, we are still following the child and using child-led learning, to an extent. I don’t think we fit into any particular box as far as homeschooling goes, we are doing what works for us. 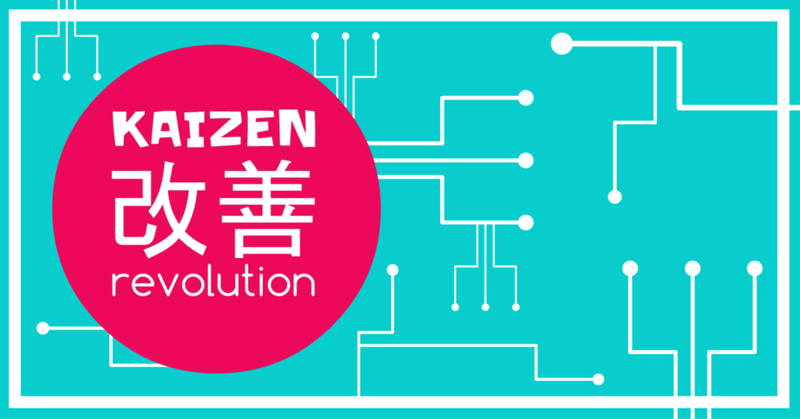 Finally, I touch on how we organize our time so that Ebi-kun fits in his schoolwork and I manage to get all my work in too and the surprising outcome from having fewer hours in the day to work, and why I practice what I teach in The Kaizen Revolution. 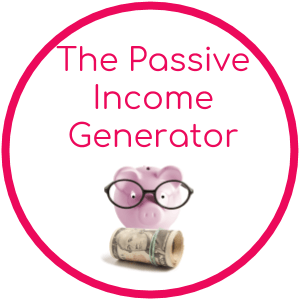 I’ll list all the resources we use below the video and if you have any questions, drop them in the comments. Some of the following are affiliate links which means I get a small percentage of the sale if you decide to buy. A quick note about Khan Academy, it is set up slightly different than your regular teaching app but the difference is what makes it great! Instead of teaching the topic then quizzing the student, the student does the quiz and if they get stuck, then they can choose to get help. This gives a better baseline on what the child already knows and also picks up on when the child hits a sticking point and isn’t understanding something properly. Parents and teachers can log in and from their side of the portal see how the student is doing, I love this way of teaching because it means the student isn’t getting bored going over something they already know and understand but it also catches if there is something missing in that level of understanding. The program doesn’t allow them to move ahead until they completely understand the level they are on. SO IMPORTANT for subjects like math. Miss something fundamental in math and it will trip you up for years as you get into higher education. OK – not such a quick note! 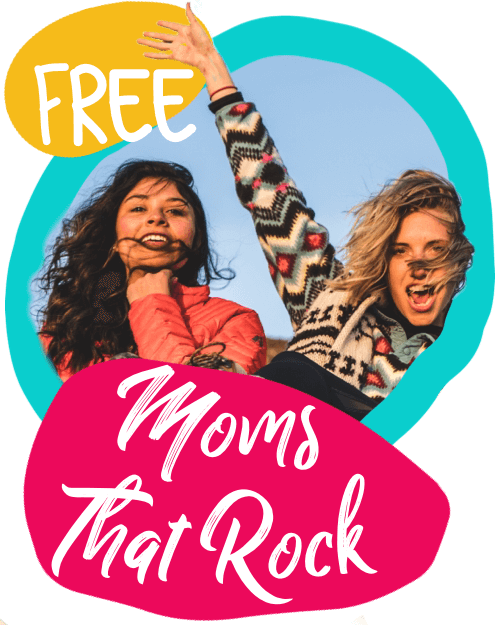 You can also find me over at jojoebi on Facebook and I run Moms That Rock, a free community of amazing moms! For those who are curious, when we started I asked Ebi-kun to decide on his homeschool name and pick 3 words to represent what he wanted to get out of the year. 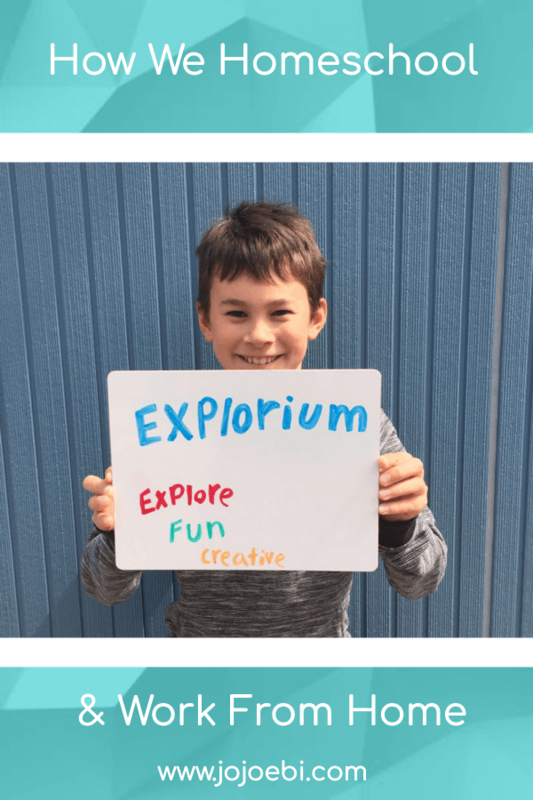 #Explorium is the school name! Explore, fun and creative are his words for the year, so far it has been! Hop on VIP waiting list and be the first to know when the doors open again. 2 Responses to "How To Homeschool And Work From Home"
Thanks for sharing your journey. When you mentioned your son doing project based things instead of having formal lessons for English, can you go into a little more detail of what you did? Also, what age did you start having him do that? We started when he was in kindy and learning to write, it would be mainly pictures with one sentence to begin with. Now he will pick something that he is interested in, when The Greatest Showman was released he got interested in PT Barnum’s story and spent hours researching and finding out the real PT Barnum and then wrote a paper comparing the film to the real life. So it is that sort of thing really, Samurai was another topic and lizards, whatever captures his attention at the time.